After a week in which President Trump touted strong economic growth, half of Americans say he is doing a good job on the economy. His trade policies in particular do not find overall positive reviews beyond Republicans. We asked about short-term effects and long-term prospects. Most see short-term pain, in the form of negative effects on the economy. Long term, views are mixed on whether this will lead to better or worse trade deals. Forty-one percent think it might lead to worse trade deals and 36 percent think it might lead to better ones. The rest feel it will have no impact. This is the case both among those in agriculture and Americans overall. One third of those in agriculture say they dislike the president's approach but are at least glad he is trying something, as opposed to having left the matter alone. More call the trade issue at least a matter of principle, and what the U.S. should get, than a pocketbook issue that would impact their finances directly. Mr. Trump gets higher numbers for handling the overall economy (50 percent) than for trade specifically. 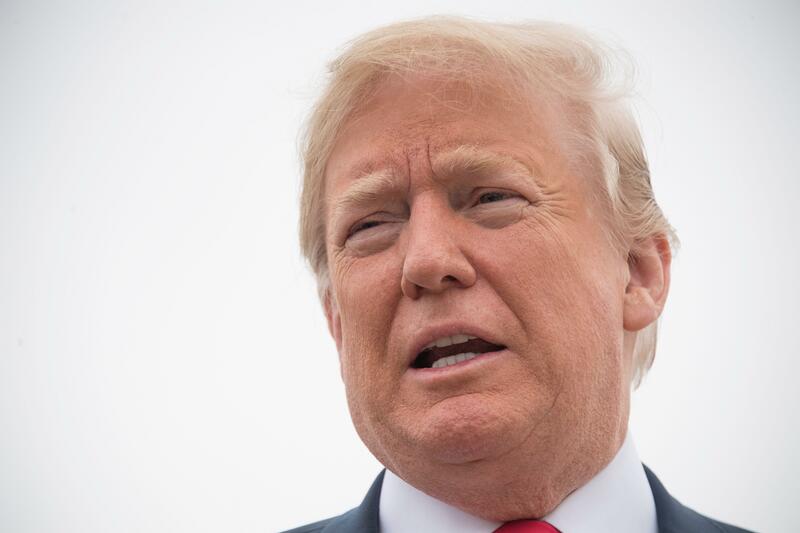 His levels of overall support between those backing him either strongly or conditionally, or opposing him, remain largely unchanged this summer. Optimism about the economy (40 percent) over the next year outweighs pessimism (34 percent), but plenty are uncertain (25 percent), and these views are strongly linked to partisanship. A majority of Democrats are pessimistic (56 percent) — even those who are doing financially better themselves are only mixed — while 75 percent of Republicans are optimistic, and those doing better themselves are particularly so. Republicans are twice as likely as Democrats to say they're doing better. Republicans tend to say the president's personal behavior has been as they expected. But as it has been through his term, views of the president personally seem to take precedence in overall evaluations of him. Even those who think he is doing a good job handling the economy, but feel his personal behavior has been worse than expected, are opposed to him overall. Mr. Trump's pushback against governmental agencies involved in the Russia investigation appears to be resonating with its political base. Republicans are less likely than Democrats and independents to express confidence in the FBI, generally, and half as likely as Democrats to express a lot of confidence in U.S. intelligence agencies. Eighty-three percent of Republicans says the investigation reveals political bias among U.S. government officials. As polls often find, few Republicans (5 percent) have a lot confidence in the media. Seventy percent of Republicans call the Russia investigation a "witch hunt," while Democrats call it a "critical" matter of national security (77 percent). Democrats say they believe the issue speaks to the president's character (79 percent) as well as national security, but Republicans disagree, seeing it as a deliberate attempt to slow the president's agenda (81 percent) and feeling he is facing more resistance from the political establishment than other presidents have (86 percent). Half of Republicans (and most of his strongest backers) say that hearing the president criticized on the Russia matter makes them want to defend him, while another 42 percent (more of them, conditional backers) say they want to wait to see what the facts show. But almost no one feels Russian interference in elections would be okay in 2018 — over 90 percent of partisans say it would not be okay, even if their own party was helped by it. This CBS News 2018 Battleground Tracker was conducted by YouGov using a nationally representative sample of 2,420 U.S. adults between July 26-28, 2018. The margin of error (a 95 percent confidence interval) based upon the entire sample is approximately 2.5 percent.